HMH Books for Young Readers, 9780544898264, 80pp. Orcas have a reputation for being bloodthirsty, but that myth is being debunked as scientists learn more about these "killer" animals. Readers follow scientists in the Pacific Northwest who study the nuanced communication patterns, family structure, and socialization of orca whales, from marine biologists to specialists in the study of sound. 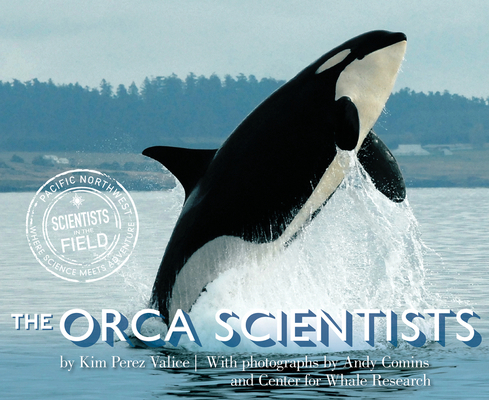 With stunning photography and attention to field-based detail, The Orca Scientists paints a vivid picture of the individuals who have made it their life's work to better understand orcas, as well as the whales they are helping to avoid extinction. Kimberly Perez Valice is a writer who lives in Michigan with her family. The Orca Scientists is her first book. Visit Kimberly at kimperezvalice.com, or on Twitter at @kimpvalice.